The District Council of Yankalilla in South Australia is only one hour drive south from Adelaide’s CBD; rolling hills are home to kilometres of dairy farms and grazing lands, pine forests, conservation parks and bushland. 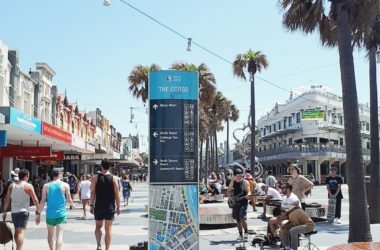 Hills and valleys give way to 90 km’s of coastline where rugged cliffs and 30 km’s of spectacular white sandy beaches provide year around attraction. 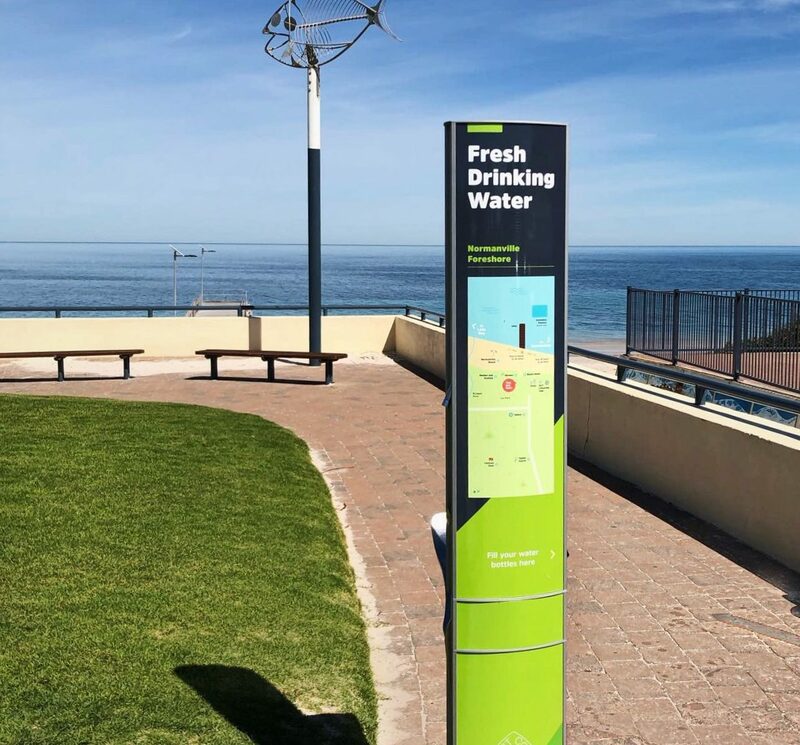 The district recently partnered with CIVIQ to provide quality, robust and filtered drinking water facilities to popular spots in Yankalilla and Normanville. Aquafil FlexiFountain 2100BF installed on the Normanville foreshore. 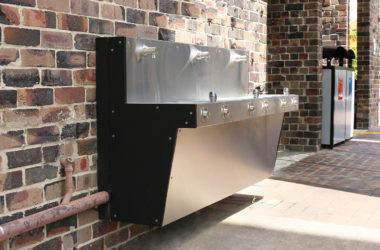 After community consultation, the Aquafil FlexiFountain 2100BF was chosen due to its unrivalled functionality in terms of being able to provide filtered water, dog bowl facilities, water bottle refill and instant water while also highlighting local businesses and attractions through its large uninterrupted vandal resistant graphic panels. 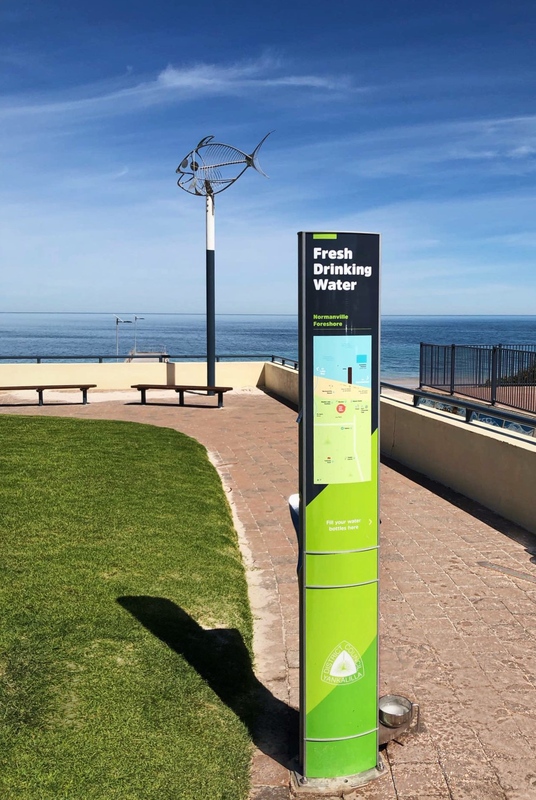 Nigel Morris the Chief Executive Officer of Council commented that “the council and the community love the new filtered drinking stations, they are fresh and modern and not only deliver filtered water but provide for bottle refills for the betterment of the environment. They also provide a dog bowl and the design incorporates a local map pointing tourists towards local attractions and businesses”. Aquafil FlexiFountain 2100BF with swing dog bowl installed in the Yankalilla town centre. 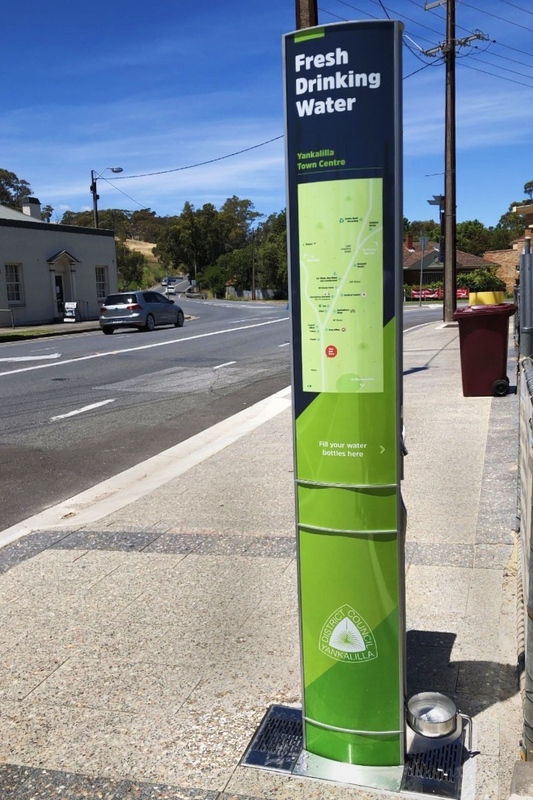 Find out more about the Aquafil FlexiFountain 2100BF and join the district of Yankalilla and CIVIQ in enhancing public space amenity for happier, healthier communities. The CIVIQ team celebrate one year of the new CIVIQ brand, reflect on the past, our purpose and our vision for the year ahead. 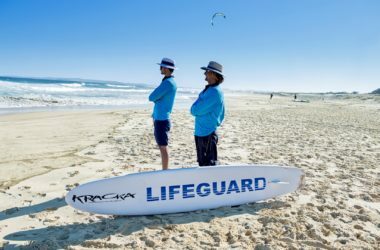 CIVIQ are excited to be working with Lake Macquarie City Council, Northern Beaches Council, and The University of Technology Sydney on the Smart Beaches Project.